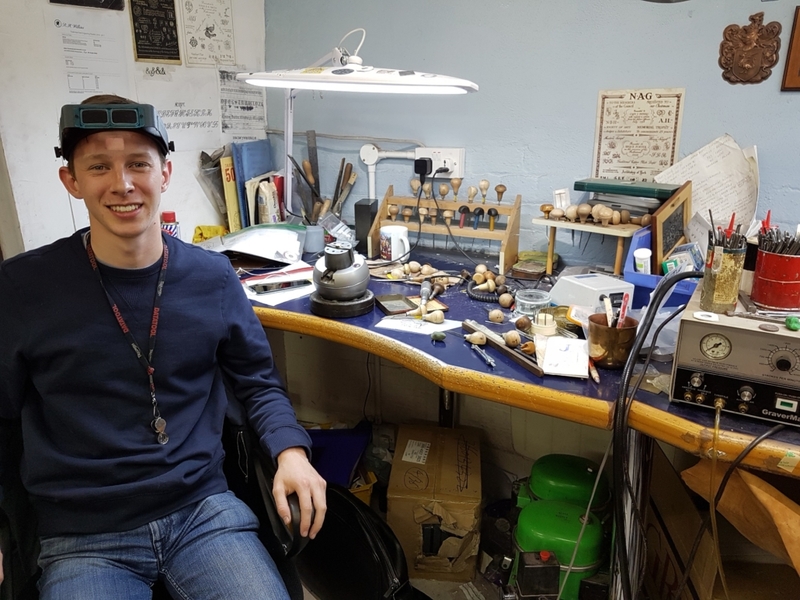 Matthew Hart began his apprenticeship at RH Wilkins, Hatton Garden, London. Continuing to work under the same Master, Emmet Smith, Matt is now focusing on seal engraving for sister firm Rebus Signet Rings. The apprenticeship has been generously supported by the Goldsmiths’ Centre and the Sir John Cass’s Foundation. 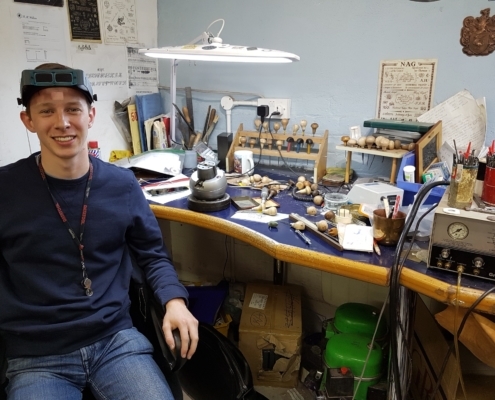 Matt is due to complete the apprenticeship in December 2018 after which he will be full time employed as a professional seal engraver at Rebus.